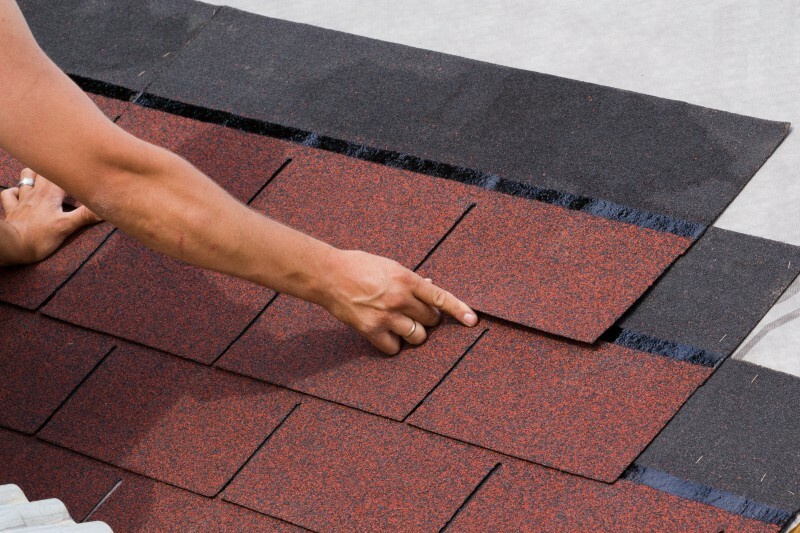 Asphalt Shingles are the most popular roofing materials to economically protect a home’s sloped roof. When compared to metal roofing, asphalt shingles provide better soundproofing and offer more colour choices. There are 2 types of asphalt shingles: traditional 3-tab roofing shingles and architectural roofing shingles. 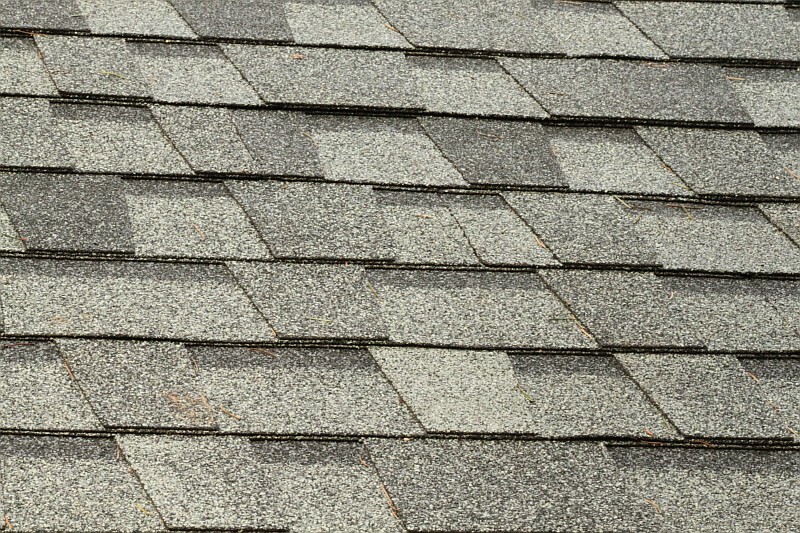 Both types of shingles have many brand names to choose from and many colour selections. Traditional 3-tab roofing shingles are the least expensive asphalt shingles. Traditional 3-tab roofing shingles contain one flat layer and each tab has an identical shape and size. They are not as thick as the other selection of architectural roofing shingles. Traditional 3-tab roofing shingles weigh less and do not have a dimensional look. They do have a lower wind resistance warranty than the architectural roofing shingles. The lifespan of 3-tab roofing shingles can be anywhere 13 years to 20 years. Architectural roofing shingles are an upgrade version of the traditional 3-tab roofing shingles. Architectural roofing shingles contain multiple layers and each tab has a different shape and size which result in a 3 dimensional look. They are much thicker than traditional 3-tab roofing shingles and as a result they are 50% heavier in weight. Architectural roofing shingles have a better wind resistance warranty and better life expectancy than the traditional 3-tab roofing shingles. Flat roofing systems are often used on commercial buildings and roofs that are completely flat. 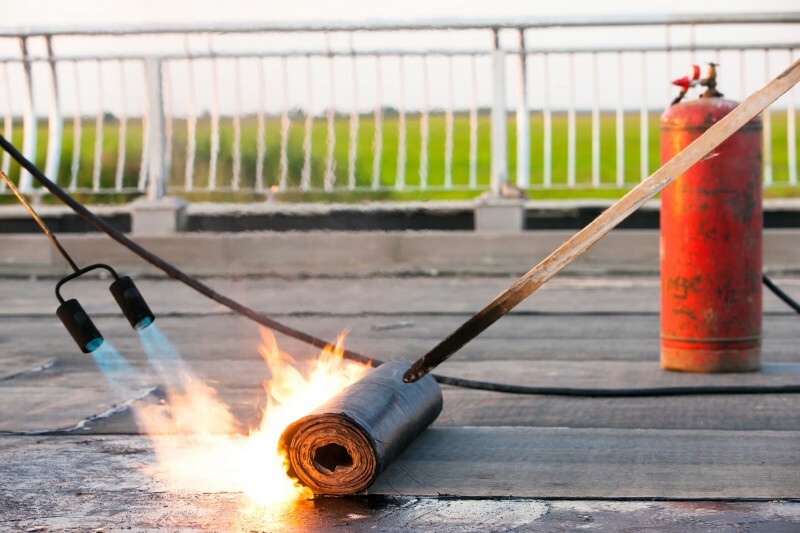 There are several types of flat roofing systems which include Built-up Roof Membrane (BUR), Single Ply Membrane, Ethylene Propylene Diene Monomer Rubber (EPDM), Polyvinyl Chloride Membrane (PVC), Thermoplastic Polyolefin Single-Ply Membrane (TPO), Fluid-applied Roof Membrane and Modified Bitumen. Our company focuses on the Modified Bitumen Roofing System which is the most popular type of flat roofing system used by commercial buildings. Modified Bitumen Roofing System consists of 4 layers of materials: Insulation, Fire Rated Board, Base Sheet and Cap Sheet.